2011 seems to start on the hectic side for Westminster Council as the bikers continue their war against the council’s most hated motorcycle parking tax. After a well earned Christmas and New Year break, the No To Bike Parking Tax campaign is back for some severe but legal action against Westminster Council in a view to forcing them to scrap parking charges for motorbikes and scooters in their borough. The most important thing is that the campaign will face Westminster Council in the High Court of Justice again in March as a result of Lord Justice Jackson having granted approval to the campaign to appeal the decision that was made by Lord Justice Pitchford in the first round of the trial back in June 2010. Approval to appeal has been granted to the campaign on six grounds out of seven, which suggests that the No To Bike Parking Tax group has a fair chance to win against Westminster Council on appeal. If the decision on appeal is in favour of the bikers, then chances are that the bike parking tax will have to be scrapped with immediate effect. 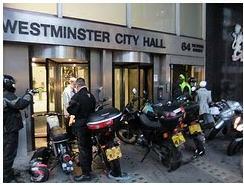 It is really sad to note that the Westminster Conservative bureaucrates have reached the stage of being taken to Court to have the legality of their motorcycle parking policy challenged as a result of ignoring thousands of objections to their bike charging scheme, thus unnecessarily spending a substantial amount of public funds instead of investing them more wisely in developments and improvements to directly benefit the taxpayer. Subject: Motorcycle parking protests – Please can you stop them! 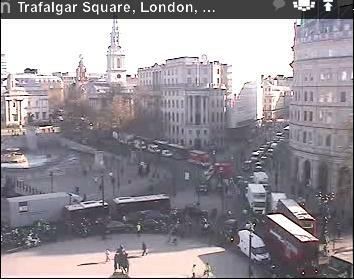 I am writing to express my very deep concern with regards to the constant protests held by motorcyclists in Trafalgar Square and occasionally on Lambeth roundabout. I am told that you are the person in charge of parking at Westminster City Council and also responsible for this stealth tax that the bikers are not happy with. I keep being stuck in traffic for at least two hours because of these protests, when I have important meetings to attend with my clients. I run my own business and cannot afford to be late at meetings with clients or else I may lose them. These protests have been going on for at least three months without stopping and thousands of Londoners are being delayed and disrupted because of them. I am told that the bikers will continue to protest in this manner until you scrap the parking charge you have imposed on them. We just cannot carry on with these protests constantly, they are adversely affecting the London economy and the business of thousands of Londoners. I therefore urge you to find a solution as soon as possible to put an end to these protests, and if it involves the scrapping of the motorcycle parking charge, then so be it. It’s far more important to keep London running than have this motorcycle parking charge in place that doesn’t bring any benefits to the vast majority of us. I await your response without delay. Subject: Fwd: Motorcycle parking protests – Please can you stop them! I am disappointed not to have received a response to my email below, or at least an acknowledgement of receipt. Since you have recently stated that you are keen to discuss matters with members of the public, particularly Westminster residents, and that you maintain an open door policy, I am very surprised by your silence. Please would you let me have a response to my email below at your earliest convenience. 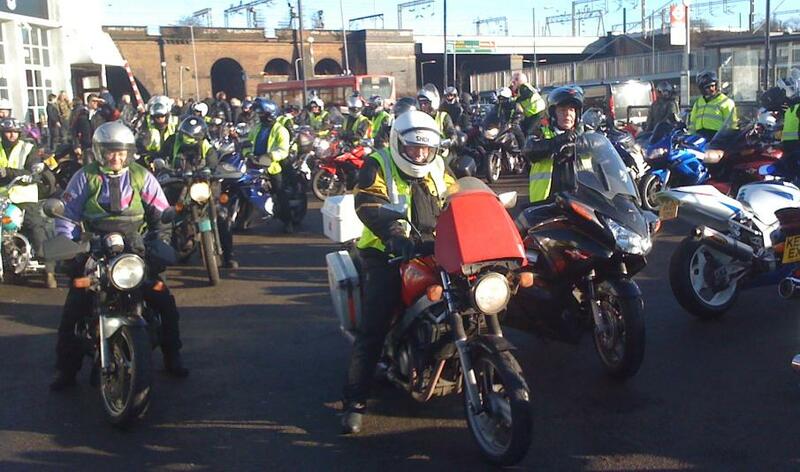 Hundreds of bikers gathered this morning at the famous Ace Cafe in West London for a slow ride in the outskirts of London to raise awareness of their campaign and raise funds for the Court case in March. After a short briefing, they went off for a ride en masse to remind Westminster Council that they will not go away until full scrapping of the motorcycle parking tax and also to warn other councils throughout the United Kingdom that should they even think about introducing a stealth tax on motorcycle parking, they know what to expect in return. It is clear that the bikers are determined to defeat Westminster Council and will continue to fight hard until they achieve their objective.